Short-lived perennial or hardy annual. 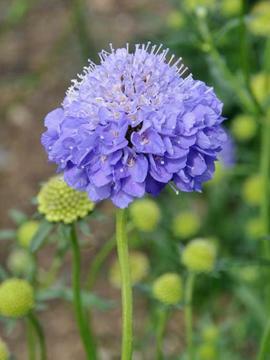 Attractive pin-cushion type mid-blue flowerheads freely produced on tall stems in summer. Borders, classic cottage garden plant.